In 2020 this box and March East Jn boxes will close. 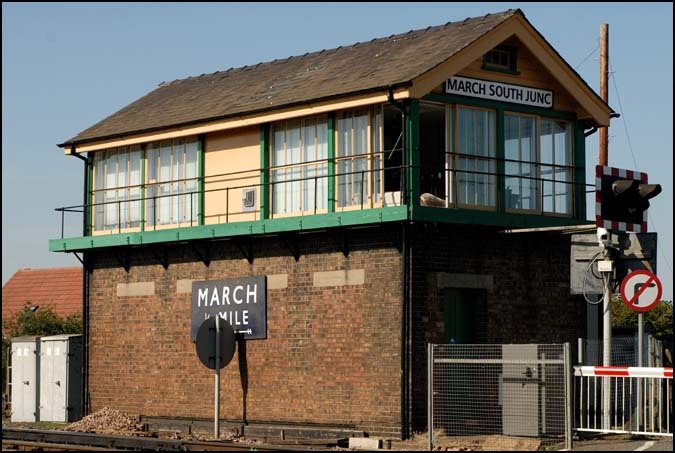 March together with most of the Peterborough to Ely railway line will be controlled from the Anglia Regional Operations Centre at Romford. 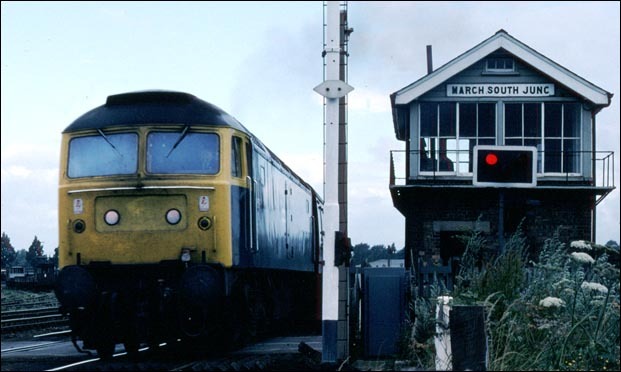 Another class 47 next to the March South Junction signal box. 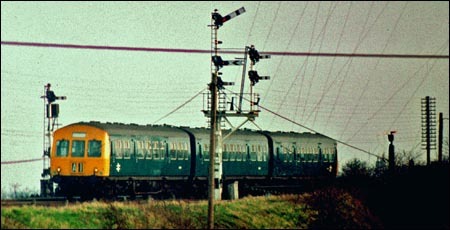 This passenger train was on a Sunday and had been diverted off the ECML while the wires were being put up . No buses in them days! 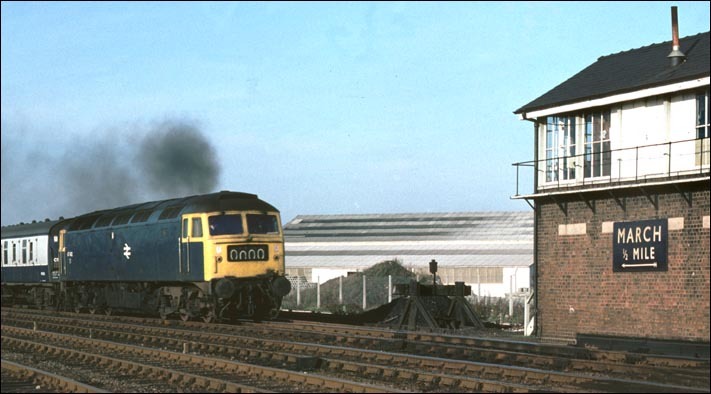 A 3 car DMU comes past a signal at March South Junction in BR days. Houses and tress are now in the way of this shot taken from the road and the signals are gone I think.